Our product range includes a wide range of carat flex abrasive discs, abralon disc, autonet abrasive discs and ecowet abrasive sheet. Carat Flex discs offered comprise stearate coated abrasive that finds suitability for dry sanding applications involving uniformed scratch pattern, fine stock removal among others. Providing for longer service life as well as superior grain adherence, it comes with flexible, impregnated latex paper backing support that makes it suited for profile sanding process. Some of it features include resin over resin bonding support; aluminum oxide/silicon carbide grain finish; semi open coating support. Carat Flex is a stearate coated abrasive product for dry sanding applications. Carat Flex has been developed especially for hand sanding of wood, sealers, paint and lacquers. 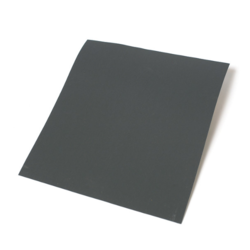 The backing consists of a flexible, impregnated latex paper, which is ideal for profile sanding. The grain adherence is also extremely good. Carat Flex has a fine stock removal and the silicon carbide grains provide a uniform scratch pattern. The resin bonding and the stearate coating guarantee a long life time. Abralon discs offeredcomprise silicon carbide abrasive that comes bonded to flexible knitted fabric with Velcro backing support. The product finds extensive use in applications involving dry/wet sanding of acrylics, wood surface, plastics among others. Some of its feature include offer superior performance support on lacquer/urethane finishes; suitable for light touch usage on small and rounded edges; grits available from 180 to 4000; ideally used between finishing coats when hand sanding. 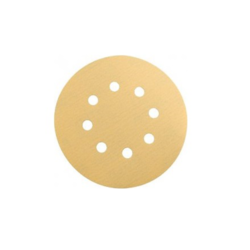 Autonet discs offered can be made available by us in different sizes and grit options including 80 Grit, 120 Grit, 150 Grit, 180 Grit, 240 Grit, 320 Grit and others. Further, it allows for long lasting working performance in comparison to regular sanding discs as well as meet demands of dust-free sanding. Some of its features include provide for suitable dust-free sanding support; offer longer product life; mesh disc finish for better workability; wire mesh of Autonet holds strong for longer time; allow for improved dust collection and less clogging. Carat Flex has a fine stock removal and the silicon carbide grains provide a uniform scratch pattern. The resin bonding and the stearate coating guarantee a long life time. 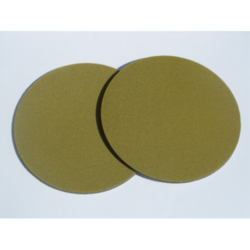 We carry out the detailed processing of Ecowet Abrasive in our organization. Our range of Ecowet Abrasive is appreciated among our clients for their long functional life, high quality and effective results. They obtained using the supreme quality of raw material and give the hassle free performance to the user. Our range of product is specifically designed as per the convenience of the user. We deliver our assignments using proper packaging standards. We have carved a niche as the most prominent organization of this industry due to our commitment for the timely delivery at any part of the country. 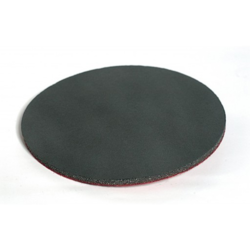 Looking for Abrasives Disc ?